This ancient rock fortress located in Sri Lanka is 660 ft high. 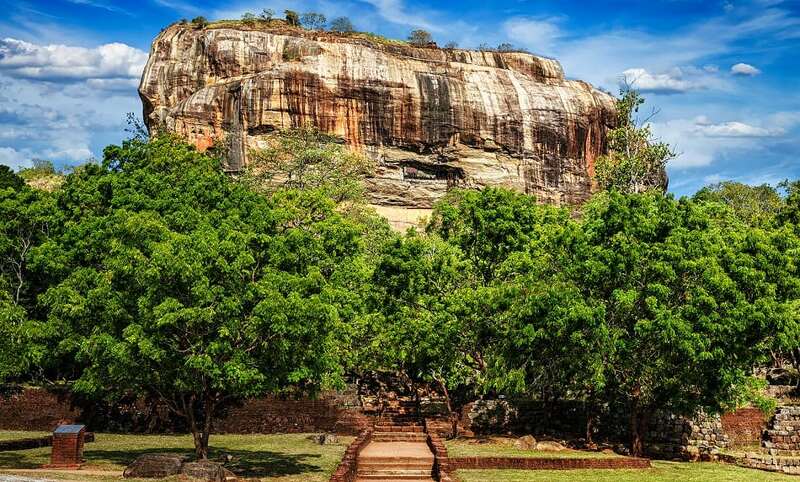 King Kasyapa 477 – 495 CE built his palace on the top of this rock and decorated its sides with colourful frescoes. On a small plateau about halfway up the side of this rock he built a gateway in the form of an enormous lion. The capital and the royal palace was abandoned after the king’s death.